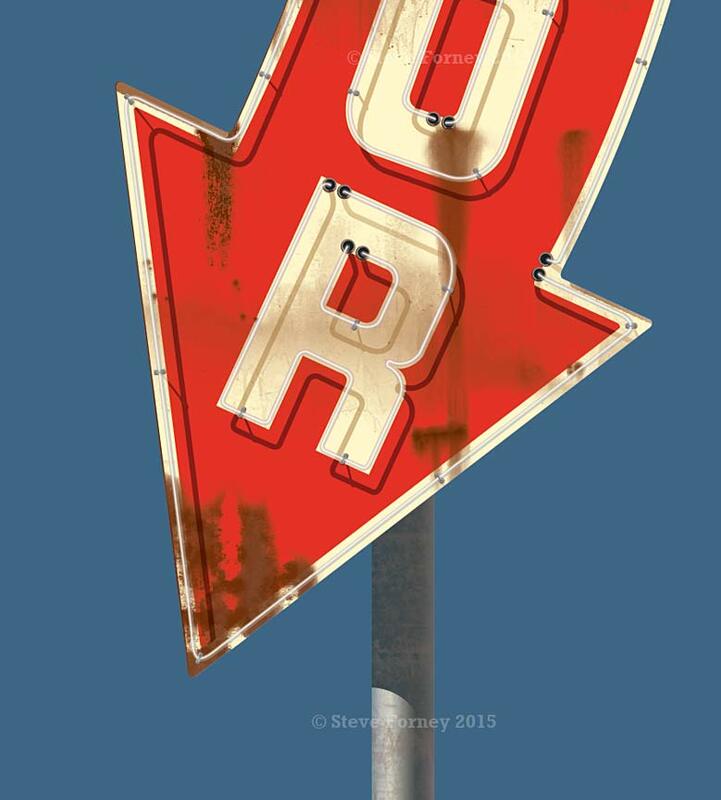 This is my second piece in the exploration of classic neon signs. 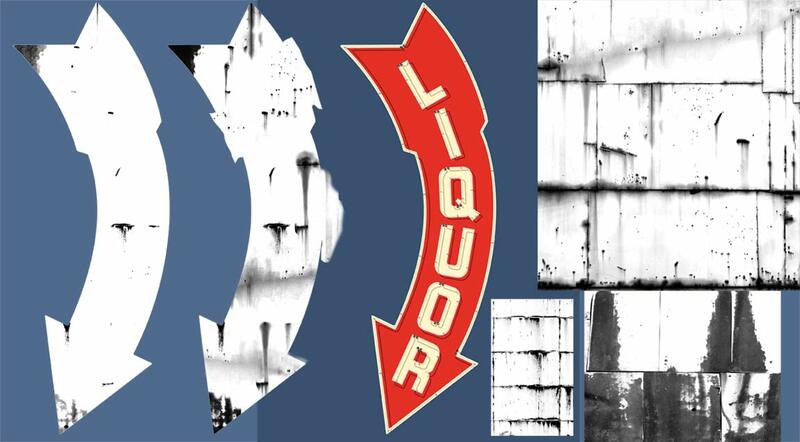 Imagine a liquor store that opened up in a 1950s strip mall in a Southern California suburb. The neon letters gradually spell L-I-Q-O-U-R one letter at a time. The sign then blinks three times before going blank and starting the sequence over again. These are the signs that fascinated me as a child in the late 60s and early 70s. Goofy characters and lettering that appeared stationary during the day, jumped to life after sunset. That chef carrying a steaming tray now had moving legs and the dog was now wagging his tail. 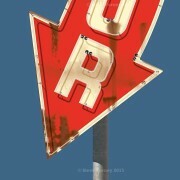 A giant flashing arrow created a swooshing shape as it beckoned hungry diners to stop for a meal. Years have passed and many of these signs have fallen into disrepair as the mall has been abandoned for new, more upscale shopping venues. A cultural artifact of the American post war boom is decaying in the name of progress It’s too bad because neon is a beautiful art form the seems to be used less and less. This image was created in Adobe Illustrator. At first, the image was going to be clean and without weathering. After doing research I decided that experiment with weathering using bitmap textures placed into the Illustrator file. Here’s a close up of the weathered effect. Two different masks were used for the weathering. Actual photos of rust texture were tuned into black and white images. In Photoshop, selected portions were cut and arranged on the arrow shape. These masks were then saved as separate jpegs. Next, these masks were placed into the final Illustrator file. Here’s a close up image to illustrate the placement and effect on the mask. The left image is the Illustrator file without masking. The middle image is the jpg to be placed into the Illustrator file. The right images is the Illustrator file after the mask has been placed. It will require some adjusting. Edits done to jpeg file in Photoshop will carry over to the Illustrator file. Another sample of the masks. Steve Forney's Habanas Quality Cigars Used in a Hollywood Film.